Trending at $3.63Trending price is based on prices over last 90 days. Trending at $5.00Trending price is based on prices over last 90 days. Trending at $48.63Trending price is based on prices over last 90 days. 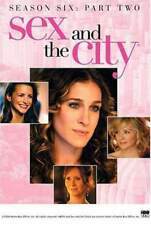 New ListingSex and the City 1 & 2, Valentine's Day, New Year's Day(Blu-ray,4-Disc Set)MINT!